Thank you for joining us for the "Inspire, Create, and Share" Blog Hop! This month's theme is "Free for All!" Every stop on the hop will feature a great project, and every stop on the hop will have blog candy to give away. That means lots of inspiration and fun ideas. Be sure to also learn how to win some blog candy! My projects feature the Window Shopping stamp set and Window Box thinlits that come as a bundle or individually. The card and box make a nice gift set. I have more product details about my projects below. My friend, Audra, is the next designer on the hop. 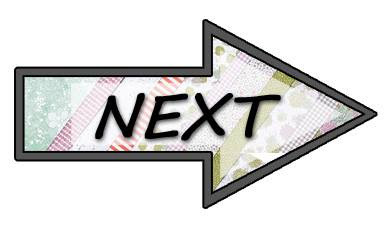 Click the arrow below when you are ready to hop to the next blog! How can you qualify to win the blog candy? Subscribe to any of the blogs you want to follow and you will be entered to win that blog’s candy. Each blog on the hop will draw a name from their new subscribers to win their candy. Why subscribe? When you subscribe to a blog’s feed you will be notified every time there is a new post. You never have to miss out on any of the inspiration, fun, or news. Subscribing is easy on the top, right side of this page. 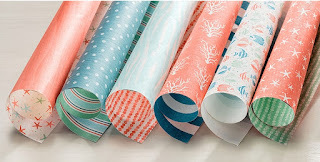 My blog candy is a selection of card fronts from the "By the Shore" Designer Series Paper. I will draw a winner on Tuesday April 11th and will announce on Wednesday April 12 so be sure you subscribe by noon April 11th. Once I announce the winner on Wednesday April 12, the winner will need to contact me with their mailing address. Then I will mail your blog candy out right away! I used the Stampin' Write Markers to color the flower and stem to stamp with both colors at one time.